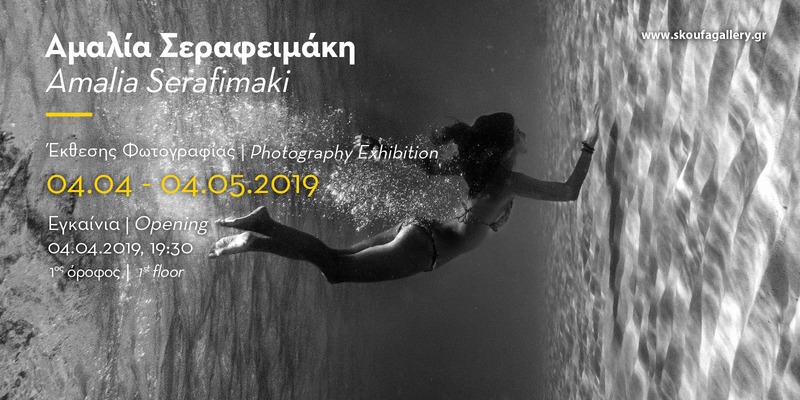 Skoufa Gallery presents Amalia Serafeimaki’s solo photography exhibition on Thursday the 4th of April at 19.30.Amalia Serafeimaki’s photographs, departing from traditional portraiture and natural photography, include both ethereal scenes and dramatic juxtapositions of nature’s fierceness. Employing natural light to navigate the viewers’ gaze around the frame, the viewers witness bodies becoming part of the unique natural setting in which they appear. Water, plants, flowers, and stone, all serve as inspiration and dictate the emotion that will dominate each piece. Through the sophisticated use of shadows and intricate compositions, the self-taught photographer achieves an aesthetic re-negotiation of the human figure in its natural environment. Dramatic, yet beautiful, harmonious, yet intriguing, each image adds its unique emotional tone in an exhibition that truly transcends the boundaries of traditional photographic genres.